Ruff surfaces but coin has a FULL DATE, portrait and most of "LIBERTY" showing. Which in itself is rare!! The Reverse shows 90% of all legend, including wreath, "ONE CENT" and fraction!! 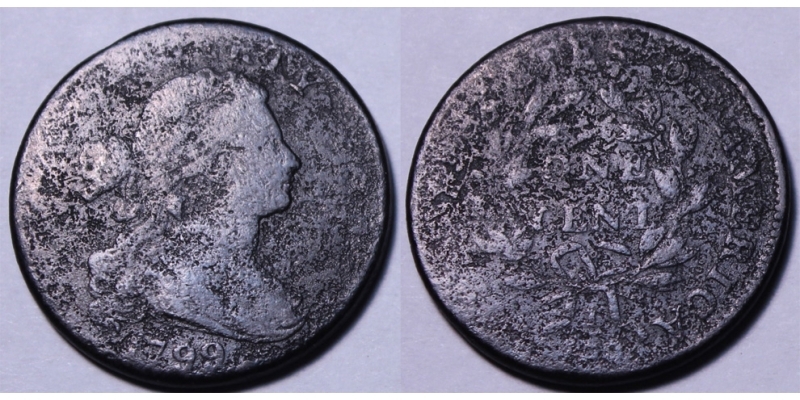 Although corroded, has nice chocolate color and the coin is nicer than photos. The best overall '99 cent we have and if smooth would cost @ $25K! 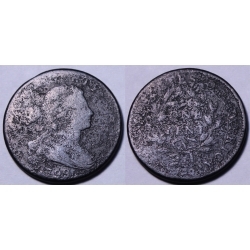 Save big on a decent rare date coin @ only $3750.